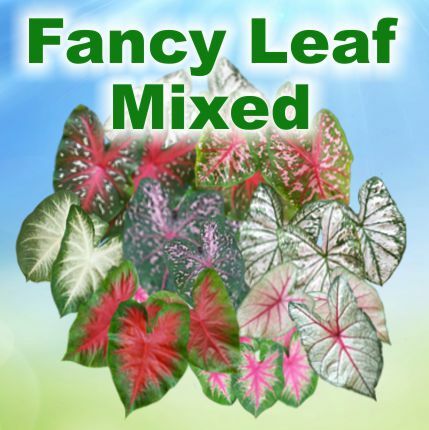 All Colors Mixed, truly the great caladium melting pot. 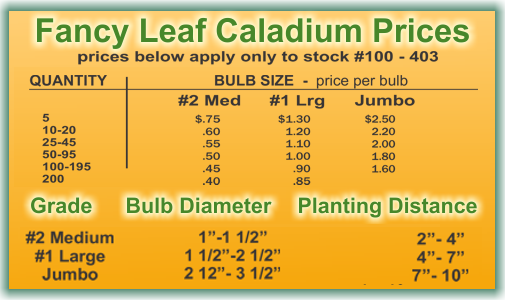 All colors, heights and leaf sizes are included in these packages. This theme of inclusion makes them our most popular item. A great way for caladium newbies to see the many nuances of this plant and hopefully find their favorite and become a Caladium World citizen. If you have prejudices against any or some variety characteristics this would not be the option for you. However, the impartial horticulturalist should find it easy to bask in the glow of this multicultural mix of cultivation. If you can't find even one to like out of this mix, you might potentially be a xenophobe. A mass bed of mixed caladiums is quite a horticultural exposition to behold.